This is part 2 of interview with Mr. Doug DeCarlo, author of the landmark book, eXtreme Project Management: Using Leadership, Principles and Tools to Deliver Value in the Face of Volatility and one of my great Project Management teachers. Make sure to listen to Part 1 and Part 3 where Doug shares his great insights on managing extreme projects. You say that loss of control, both real and imagined, can in part be attributed to what you call project-crazy organization. The chapter on Self mastery is one of the most valuable. You make Self Mastery the number one critical success factor for delivering successful projects. You say that when working in adverse conditions, unless you choose self-mastery, you are choosing self-misery by default. Make sure to listen to Part 1 and Part 3 where Doug shares more great insights on self mastery and managing extreme projects. For the last fifteen years — from Bethlehem, Pennsylvania to Beijing, China — Doug has lived in the trenches with over 250 project teams having budgets that ranged from $25,000 to over $25 million. Mission-critical initiatives were in the arenas of: information technology, financial services, e commerce, research and development, process reengineering, continuous improvement, sales generation, new product introductions and organizational change. Doug works with clients who undertake projects in very demanding environments: those settings that feature high speed, high change, high unpredictability and high stress. Such eXtreme projects defy the rigor, rules, bureaucratic practices and linear approach of traditional project management. 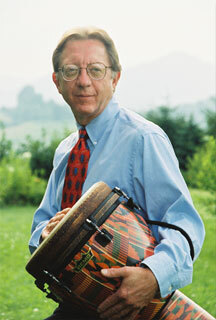 Doug serves as consultant, facilitator, trainer, coach and keynote speaker and is a well-known columnist. His work has earned him international recognition as an expert in goal achievement. 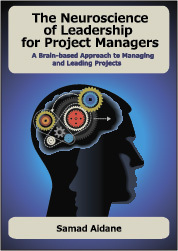 His approach to goal achievement and self-mastery is featured as Chapter 7 in the book: The World Class Project Manager: A professional development guide. His grassroots approach for accelerating individual, project and organizational performance produces immediate and sustainable results for clients. He combines proven practices in plain-english project management, team leadership and self-mastery. Doug is also a Senior Consultant on Agile Project Management for the Cutter Consortium where he was named consultant of the month. Doug is a former advisory board member for ProjectWorld, an advisory board member and columnist for ProjectConnections.com and has served on the Project Management Advisory Group of George Washington University. He is an active member of the Project Management Institute and The Drug Information Association.